The new OC Animal Care Facility is located on an approximately 10 acre site consisting of a two story main building and six separate dog kennel buildings and ample parking within a parcel that will allow for growth, if needed. 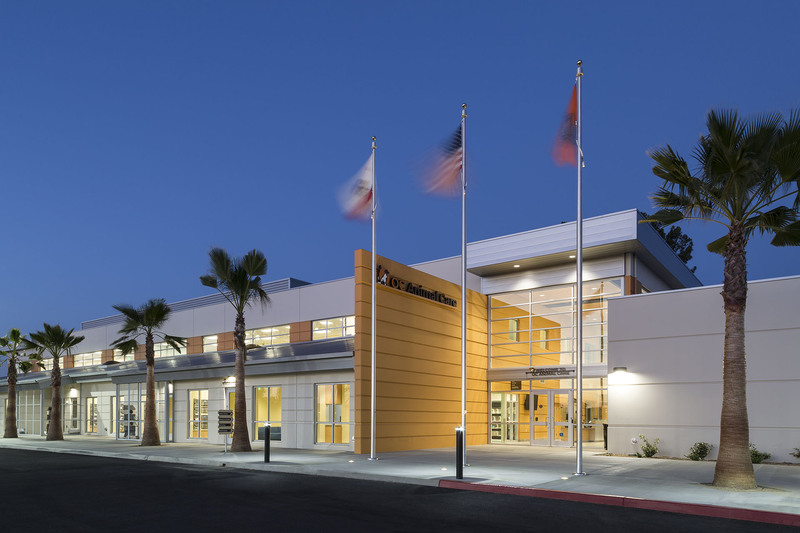 The features of this project include kennels in climate-controlled environments, an abundance of natural light, spaces for bathing and grooming, various cat housing areas (including “catios,” outdoor patios where cats can socialize in good weather), three surgery suites that include pre-op and post-op recovery rooms, and separate exam rooms for dogs and cats. In addition, the facility provides four outdoor play areas along with ‘get acquainted’ rooms in the dog kennels.